The second-worst team in the California League needs just 1 win in its final two games to make the playoffs. 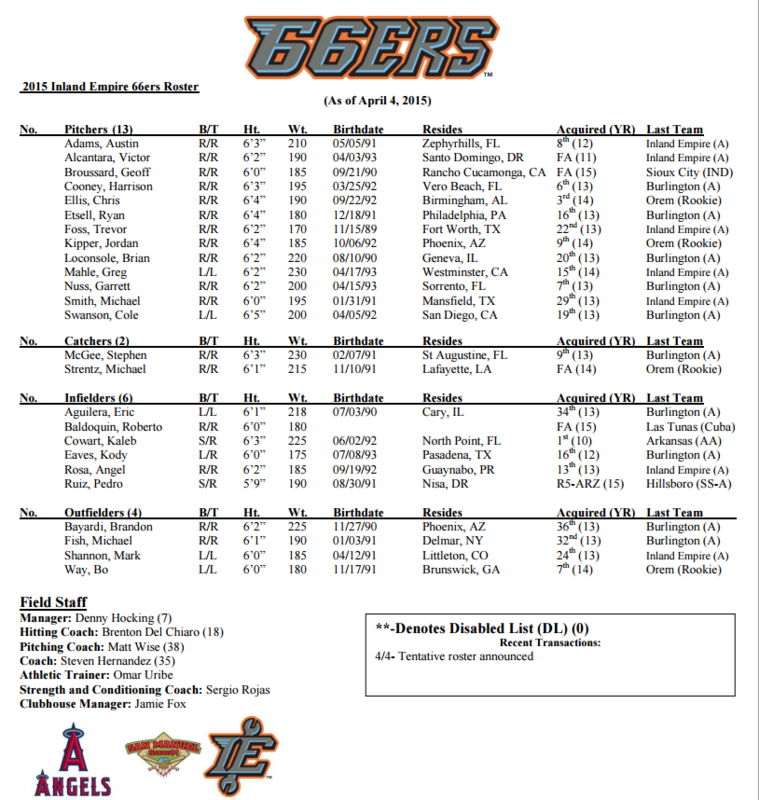 That’s all the 66ers need Sunday or Monday at Lancaster to guarantee at least a tie for the South Division second half title. And a tie would not require a one-game playoff, but send the Sixers to the best-of-3 first round against Lake Elsinore. The Quakes have a much longer road. Not only do they need the Sixers to lose their final two games, but they need to make up a one-game deficit to High Desert. While the Sixers’ second half record is only 35-33, it would be remarkable to make the playoffs after going 25-45 in the first half, and losing their best position player, shortstop Jose Rondon, to Lake Elsinore in a trade. On Wednesday, the Quakes and 66ers played an epic 14-inning game, finally won by the Sixers despite needing to pitch the final three innings with two different position players: infielder Brian Hernandez and outfielder Andrew Ray. A day later, in the 66ers first home game of the season and the Quakes’ first road game, both teams lost. The Sixers (2-6) loss was 8-3 to High Desert (6-2) as the Mavericks pounded out 18 hits and the Sixers committed three errors and went 0-for-9 with runners in scoring position. Wade Hinkle was 2-for-2 with a home run, a double and two walks. Jordy Lara had four hits, finishing a double short of the cycle for the Mavericks. The Quakes lost in more excruciating fashion. Playing at Modesto (1-7), they carried a 5-4 lead to the bottom of the ninth against Luis Meza (0-1). With two outs and nobody on in the bottom of the ninth, Wilson Soriano singled and stole second. After a walk, a fielding error by Quakes first baseman Chris Jacobs allowed the tying run to score and put runners on second and third. Sean Dwyer’s single to center scored the game-winning run. For the Quakes (3-5) , Pratt Maynard hit two doubles and drove in two runs.